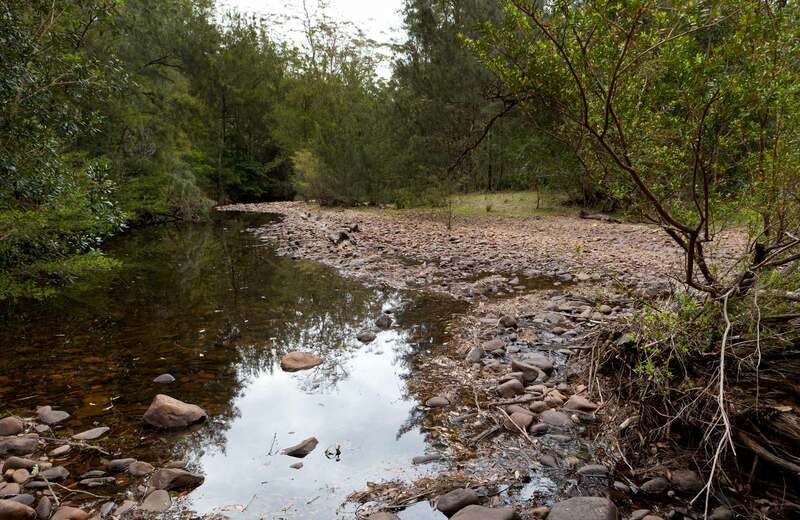 Free river camping for experienced and well-equipped travellers, Long Gully campground offers drop toilets and picnic tables, with nearby day walks for fit hikers. Bookings are not available for this campground. For more information, contact the NPWS Fitzroy Falls Visitor Centre on (02) 4887 7270. 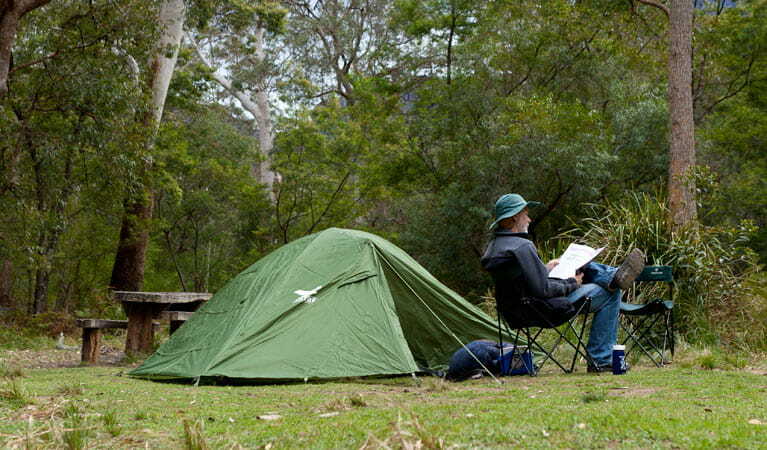 A permit is needed to camp at Cooyoyo Creek over the Easter and October long weekends. The Budawangs is a declared wilderness area and to protect the environment there are some restrictions on group sizes, firewood use and camping locations, including camping in rock overhangs. Please refer to the Guidelines for walking in the Budawang Wilderness. Dangerous unexploded ordnance is located in the former Tianjara Military Training Area, please see Alerts. 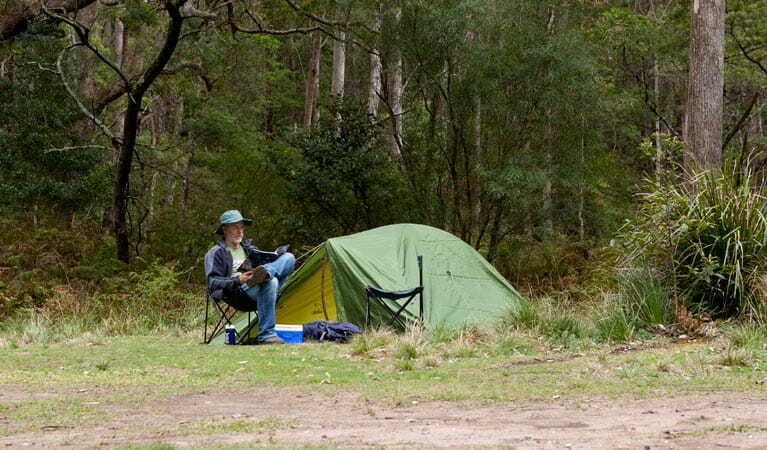 Long Gully campground, like Budawang in general, is one for experienced travellers. 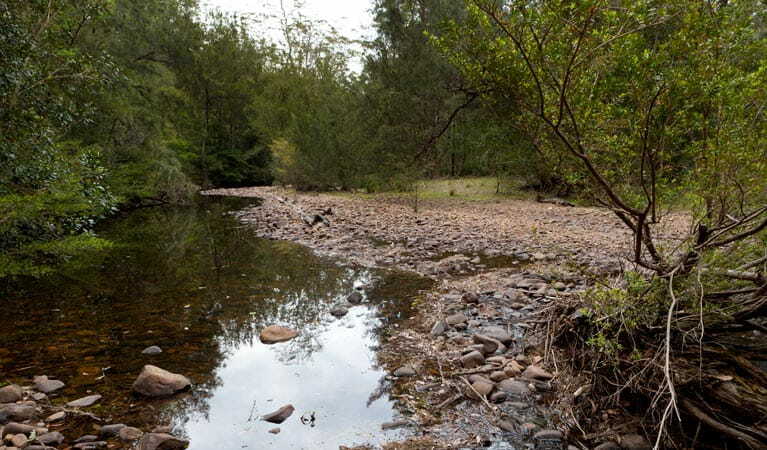 Located on a grassy flat beside Yadboro River, surrounded by blackbutt trees and rising steeply on the northern side, this is a place you come to get away from everything. Facilities are minimal – pit toilets and picnic tables, with no marked sites – but the sort of person who comes here is self-sufficient and hardy. Plus, the scenery is spectacular. Bring the tent, firewood, and enough food to last (water can be collected from the river and boiled), then settle down in scenic solitude. The remoteness of Long Gully means your closest neighbours are likely to be goannas and wallabies, though there is an adjacent picnic area. Avid bushwalkers will want to pack their hiking boots and compass as well for an exhilarating walk in the Budawang backcountry. The arduous trek to the Castle also begins from here, suitable for well-equipped adventurers only. Wherever you end up, return to a refreshing splash in Yadboro, though better swimming opportunities can be found in nearby Clyde River. Don’t forget your towel.